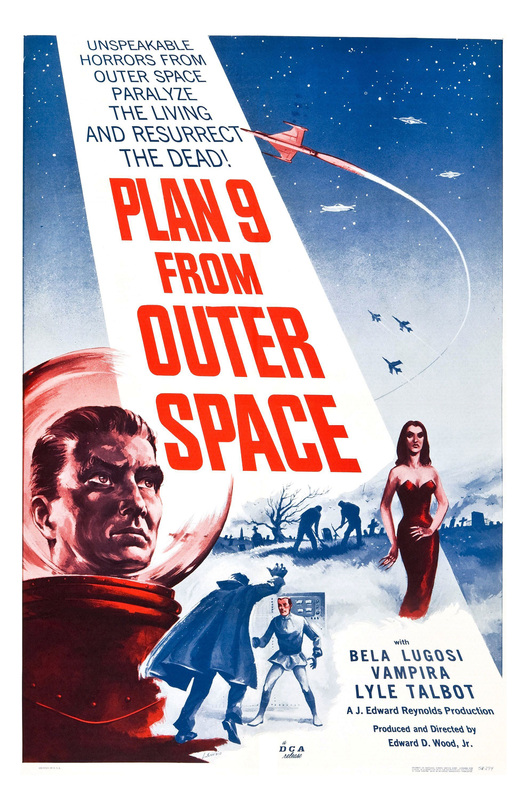 Plan 9 From Outer Space (1959, USA) is a Sci-Fi film directed by Ed Wood. Directed by Ed Wood, Jr. Written by Ed Wood, Jr. Produced by Charles Burg, J. Edward Reynolds, Hugh Thomas Jr., Edward D. Wood Jr.
Aliens Resurrecting The Dead! Flying Saucers Over Hollywood! As the screen's greatest shock star Bela Lugosi is back to haunt the Earth in a terrifying revelation of things to come! This page was last modified on 31 January 2016, at 21:35.